A Malaysian court ruled Thursday the murder trial of two women accused of assassinating the half-brother of North Korea's leader can proceed -- in a blow to their families who insist the pair were tricked into carrying out the dramatic hit. After hearing prosecutors' case, Judge Azmi Ariffin said there was sufficient evidence to support a murder charge against Siti Aisyah from Indonesia and Doan Thi Huong from Vietnam, accused of murdering Kim Jong Nam with nerve agent VX at Kuala Lumpur airport. [post_ads]"I must therefore call upon them to enter their defence on their respective charges," the judge said in his ruling to the Shah Alam High Court, outside Kuala Lumpur. The women looked shocked and tearful as the ruling was handed down. If the judge had decided the evidence was not sufficient, he could have chosen to acquit the women. Aisyah's lawyer Gooi Soon Seng told reporters: "We are deeply disappointed with the ruling... We will do our best at the defence stage." Their families insist the women were tricked into carrying out the Cold War-style killing, and had been hopeful they would be acquitted, although state prosecutors insisted they had a strong case. 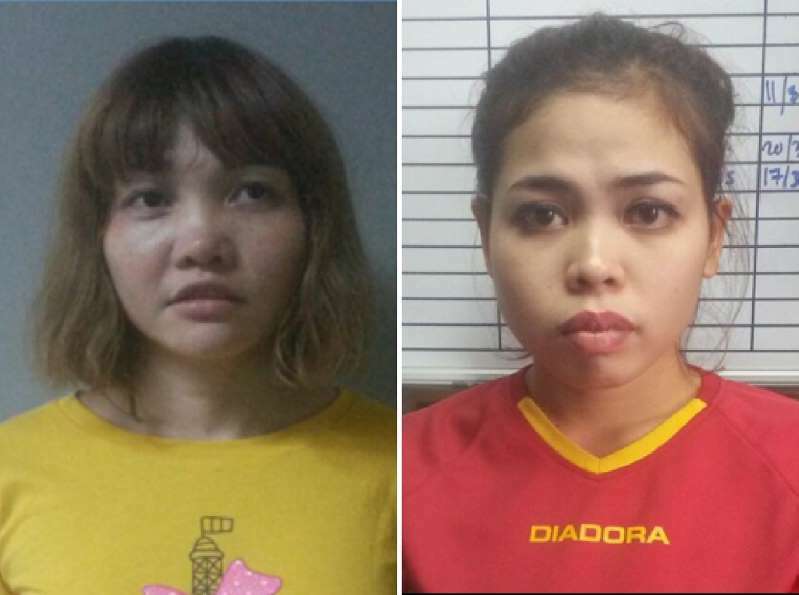 The women are accused of killing Kim Jong Nam -- once seen as an heir to the North Korean leadership and a rival to current leader Kim Jong Un -- by smearing toxic VX on his face in February last year as he waited to board a flight to Macau. The pair, who face death by hanging if found guilty, claim they fell victim to an elaborate plot hatched by North Korean agents and believed they were taking part in a prank for a reality TV show when they attacked Kim with a chemical classified as a weapon of mass destruction. But describing the murder as like something out of a James Bond movie, prosecutors argued the pair were well-trained assassins who knew exactly what they were doing. During months of hearings, the court has been told that four North Koreans -- who are formally accused alongside the women of committing the murder -- recruited the pair and were the masterminds, providing them with the poison on the day of the murder before flying out of the country. The defence teams have argued the women are simply scapegoats, with the authorities unable to catch the real killers, the North Koreans, and therefore desperate to secure some kind of conviction in the case. Despite the evidence against them, the women's lawyers believed that prosecutors had not shown they intended to kill Kim, who had been living in exile for a decade since falling out of favour with the North's ruling family.